Behind the scenes with NBC's chief White House correspondent — and a peek at her March Madness brackets. 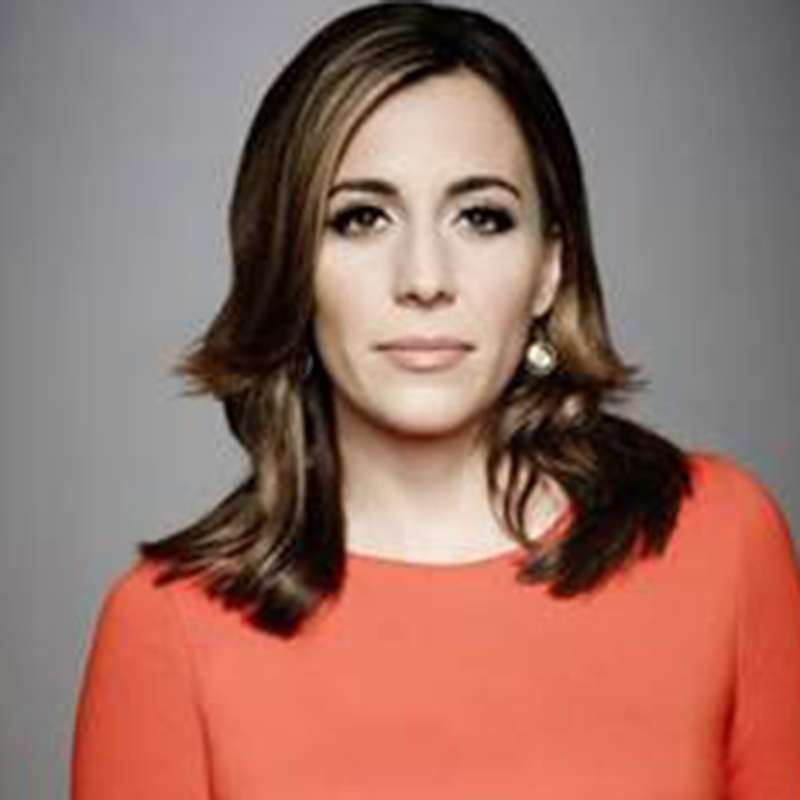 Julie Tsirkin compiled this report in collaboration with Hallie Jackson. President Donald Trump was clearly in the mood to talk, pacing up and down the row of reporters crammed in front of the White House South Lawn on Thursday night. Turns out, he wanted to talk about the story I've been reporting on a lot this week for NBC's "Today" show and "Nightly News"; the administration's proposal to slash funding for the Special Olympics. I asked why he would suggest cutting funding for the popular program — a move that has sparked bipartisan backlash as athletes and advocates share their stories. That's when the president told us there would be no cuts after all. "The Special Olympics will be funded, I just told my people," Trump said to a group of reporters gathered on the South Lawn. 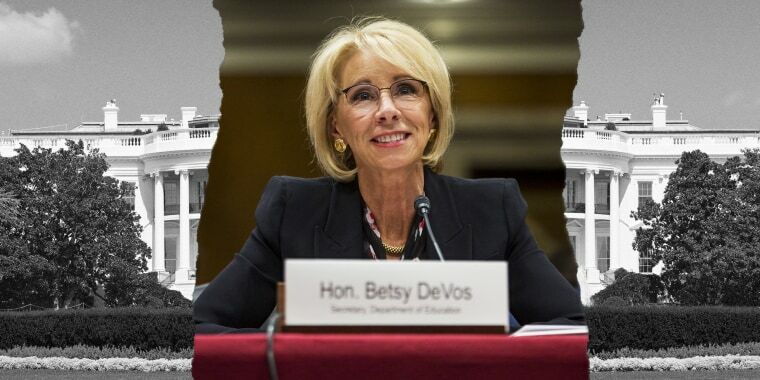 The about-face comes after Education Secretary Betsy DeVos defended the administration’s proposed across-the-board cuts to educational programs for 2020, which included eliminating the nearly $18 million the Special Olympics received this year. The organization works with 5 million athletes in 174 countries to give people with intellectual and physical disabilities the chance to compete. When I talked to the Special Olympics' vice president, minutes after the president's announcement, he had one word: "Wow." "I'm completely stunned, actually," Shawn Ferguson told me. "We'll have to find out exactly what this means, but I think it's pretty amazing." And while the Special Olympics federal funding was never in any real danger — given that lawmakers who ultimately make those budget decisions said they wouldn't make the cut — Ferguson pointed out it's significant symbolically that the administration is sending this message. As for DeVos? Not long after the president undercut her very public defense of the president's budget, she released a statement: "I am pleased and grateful the president and I see eye-to-eye on this issue," she said. And suggesting she's been opposed to these proposed cuts since the start, she added, "This is funding I have fought for behind-the-scenes over the last several years." Before the president officially revived the battle over health care, some top advisers initially disagreed with the idea of asking the courts to invalidate the entirety of the Affordable Care Act, according to four administration sources familiar with the situation. As we know now, Trump won that round — the Justice Department filed a brief this week with the 5th U.S. Circuit Court of Appeals supporting the full dismantling of Obamacare. But the disagreement highlighted the president's view (and some aides' initial skepticism) that picking a fight with Democrats over health care ahead of the 2020 presidential election has upside potential. Here's what we've learned: The differences came to light in a series of meetings Monday ahead of the DOJ’s filing later that night. In the discussions, acting chief of staff Mick Mulvaney made the "pitch" to the president to back this move, the sources said. Acting Office of Management and Budget Director Russ Vought echoed Mulvaney's thinking. Vice President Mike Pence, Health and Human Services Secretary Alex Azar, Attorney General William Barr and White House lawyer Pat Cipollone were more apprehensive, the sources said. One source said Pence backed the move from a policy perspective, but raised questions about the political plan moving forward. The lawyers expressed concerns about the viability of the legal argument. Ultimately, "the president chose," per one of the officials, leaving the president's advisers with little choice but to get on board. While White House insiders insist a fight over Obamacare is politically advantageous for the president, they also acknowledged that there's no real plan on how to move forward with the "replace" part, should the "repeal" happen. There's a sense in the building that they have some time to come up with a plan, given that the courts won't rule on this anytime soon. Still, worth pointing out the obvious: Health care is one of the issues that helped Democrats win control of the House in the midterms. It's a fight the president may want to have — but few other Republicans do. The president found himself in a new fight with a familiar nemesis: former FBI director James Comey, who sat down with Lester Holt on Wednesday. Shortly after that interview aired — Comey's first since special counsel Robert Mueller concluded his investigation — the president blasted Comey as a "terrible guy" in an interview with Sean Hannity on Fox News. Comey, in that exclusive talk with Lester, seemed surprised about how the attorney general's summary of Mueller's report indicated the special counsel did not make a judgment one way or another on obstruction of justice. "The idea that a special counsel wouldn't reach the question and hand it to the political leadership doesn't make sense," Comey said. "I'm not pre-judging it, I'm just saying it doesn't make sense on its face." I asked Marc Short, the vice president’s chief of staff, about that. "I think it's clear that Director Comey’s been confused on a lot of things over the last couple of years," Short told me. Somehow, by some miracle, I'm still at the top of our White House Unit March Madness Bracket. Now I just have to make it through the weekend…#BoothBudsBall ftw!